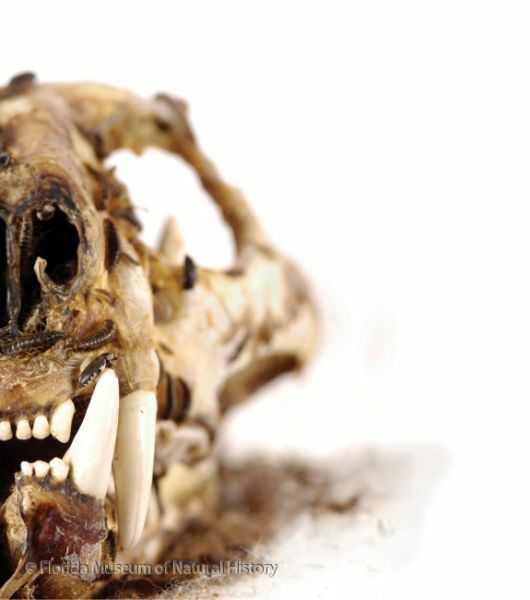 The Reed Lab and the mammals collection contribute to museum exhibits and media presentations about research projects, and students regularly do presentations on their works and public outreach. On a semester basis, each division within the museum is invited to display posters representative of its students’ research in a display case outside Dickinson hall. 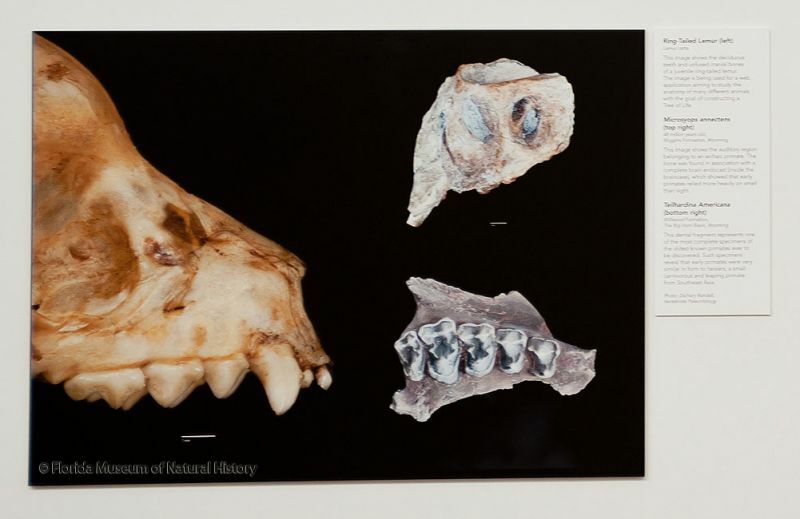 In the fall of 2012, graduate students in the Mammals division developed an exhibit displaying ongoing research projects using collection resources. This exhibit enables each division to showcase projects facilitated by its collection and encourages public interest in research museums. 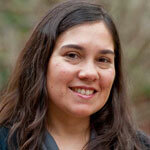 Author: J. Angel Soto-Centeno, PhD candidate, Department of Biology (Zoology). Author: Ty Christian, Undergraduate student and Jorge L. Pino, PhD candidate, Department of Biology (Zoology). Authors: Jackie Fane, Undergraduate, Department of Biology (Zoology). 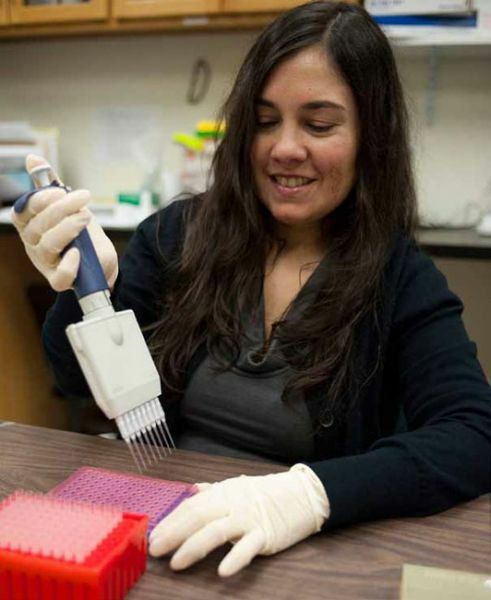 Marina S. Ascunce, Post Doc, Florida Museum. Gebreyes Kassu, Undergraduate. Ariel Toloza, Centro de Investigaciones de Plagas e Insecticidas, Buenos Aires, Argentina. Maria I. Piccolo, Centro de Investigaciones de Plagas e Insecticidas, Buenos Aires, Argentina. 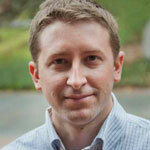 David L. Reed, Associate Curator of Mammals, Florida Museum. 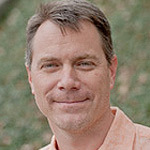 Authors: Bret Pasch, PhD candidate, Department of Biology (Zoology) Polly Campbell, Department of Ecology & Evolutionary Biology, University of Arizona Steven M. Phelps, Section of Integrative Biology, University of Texas. 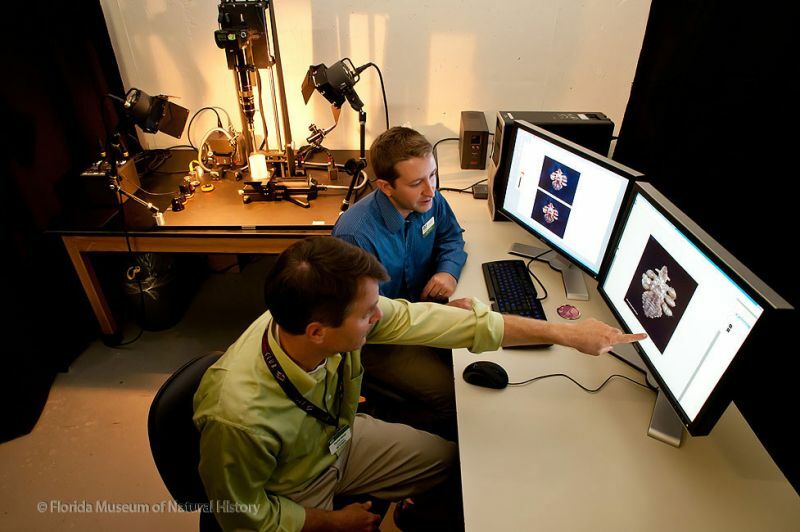 An NSF CAREER grant awarded to Dr. David Reed provided the funding to purchase a high-resolution imaging station for photographing specimens used in research. 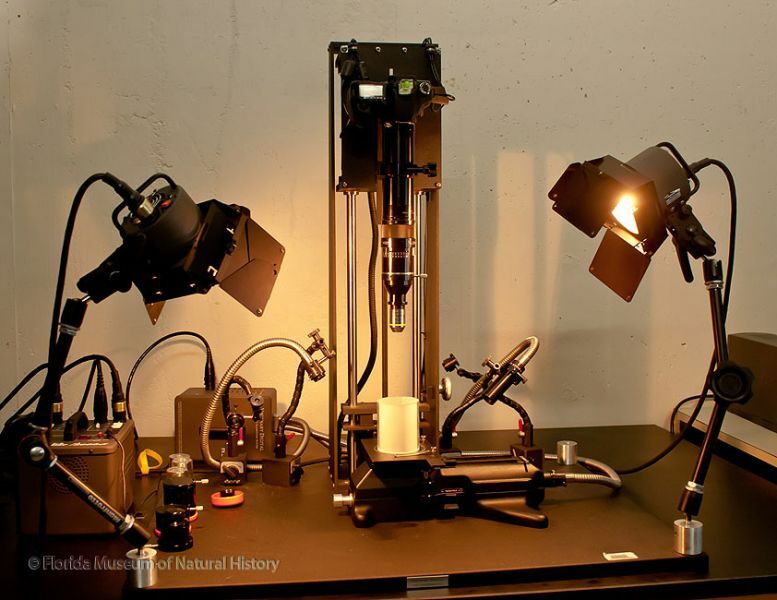 This custom built camera can take very hi-res images of specimens as small as a louse or as large as a whale skull. 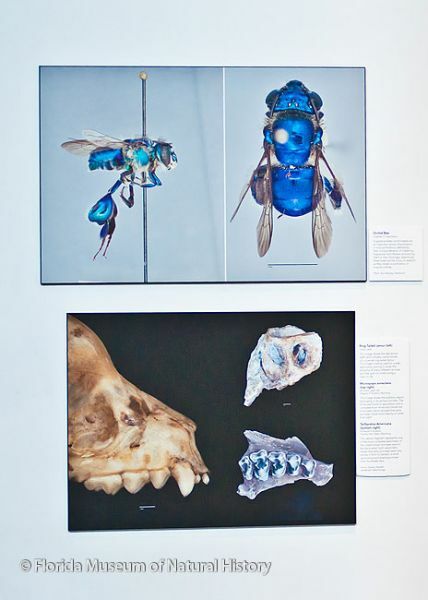 The images are used for both research and for documenting the specimens in the collections at the Florida Museum. 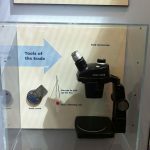 The camera was so successful and widely used that the Museum put together an exhibit called “Depth of Field” that highlights the camera itself and images that were taken with it. The exhibit is a flat, 2-D installation in the Galleria of Powell Hall, the Museum’s public exhibit building. After its run in 2013 the images will be available for display in other venues. 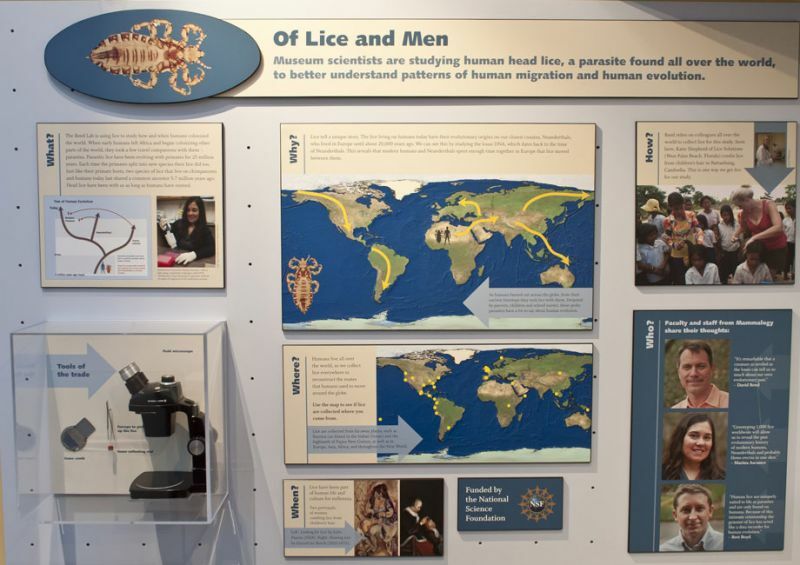 In this exhibit the Reed lab shows how we use human lice to better understand certain aspects of human evolution and human migrations around the world. We can do this because lice have been traveling with us for a long time… throughout our evolutionary history. In fact, lice are known from Egyptian and Incan mummies, with the oldest dating back to 10,000 years ago. 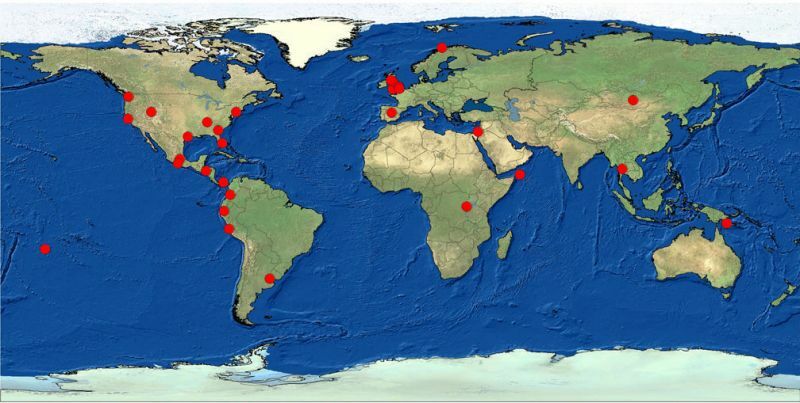 To tackle these questions, we gather a large number of lice from all over the world, thanks to our collaborators. In the laboratory, we extract DNA from each louse and use it to compare human louse populations around the globe. Because lice can be transmitted through a host-to-host contact, we can use lice to uncover interactions between populations of humans and even with other hominids such as Neanderthals. 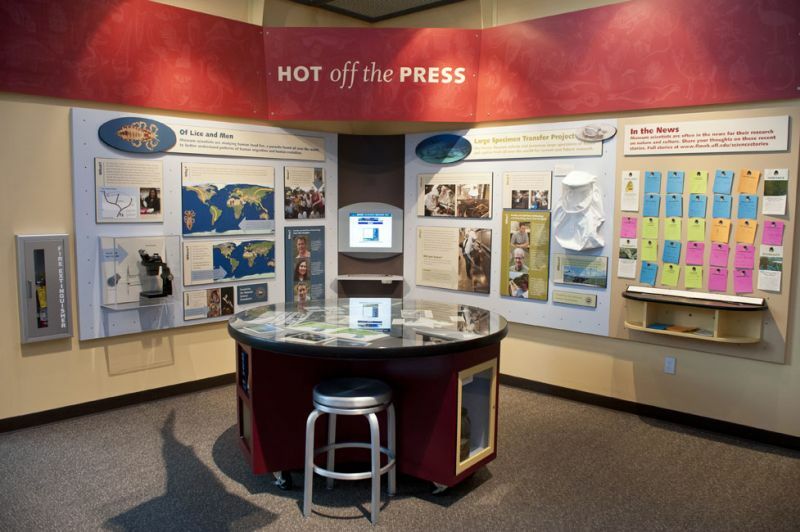 If you want to learn more about our research please follow the thumbnails bellow that lead you through our exhibit. When early humans left Africa and began colonizing other parts of the world, they took a few travel companions with them – parasites. 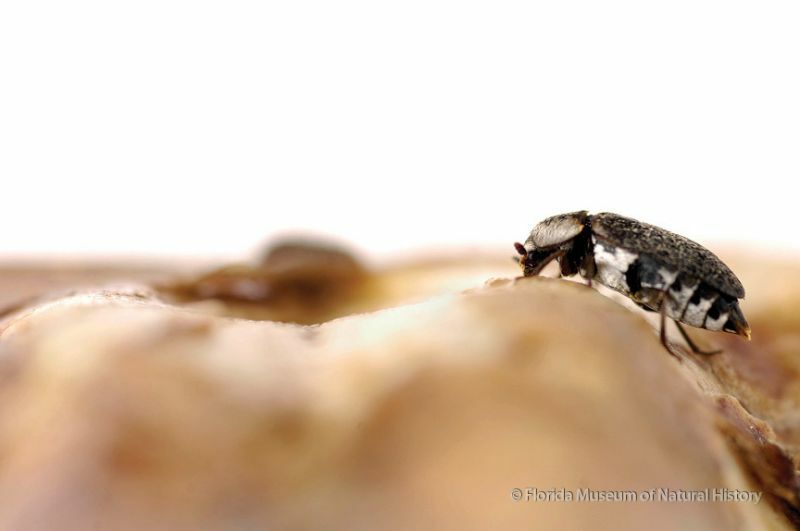 Parasitic lice have been evolving with primates for 25 million years. Each time the primates split into new species their lice did too. Just like their primate hosts, two species of lice that live on chimpanzees and humans today last shared a common ancestor 5-7 million years ago. Head lice have been with us as long as humans have existed. Lice tell a unique story. Some of the lice living on humans today have their evolutionary origins on our closest cousins, Neanderthals, who lived in Europe until about 20,000 years ago. 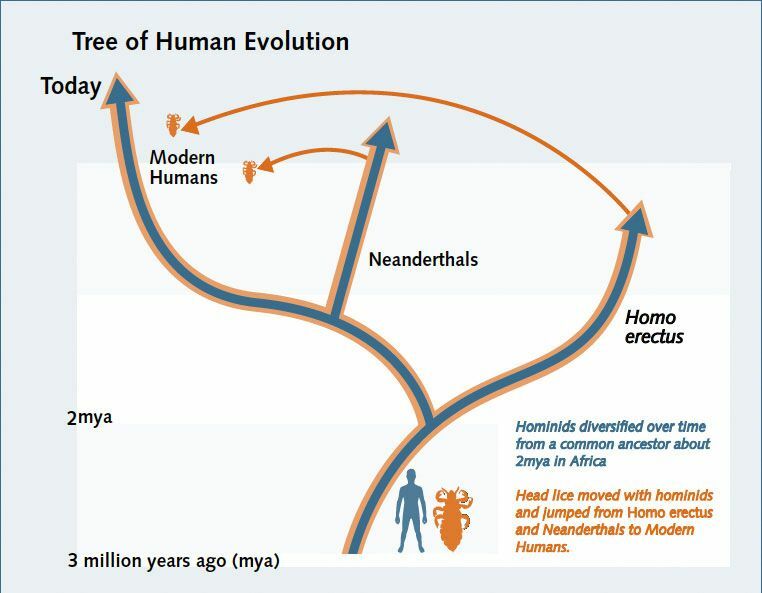 We can see this by studying the louse DNA, which dates back to the time of Neanderthals. This reveals that modern humans and Neanderthals spent enough time together in Europe that lice moved between them. 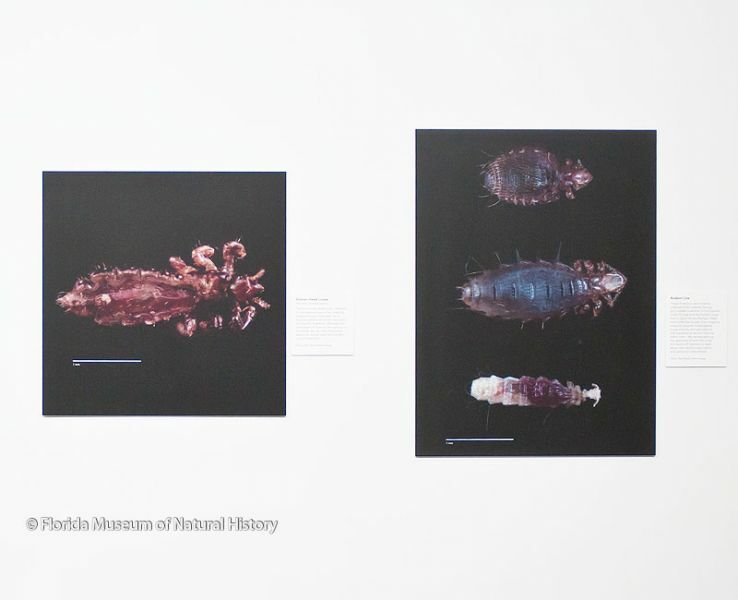 As humans fanned out across the globe, from their earliest footsteps they took lice with them. Despised by parents, children and school nurses, these pesky parasites have a lot to say about human evolution. 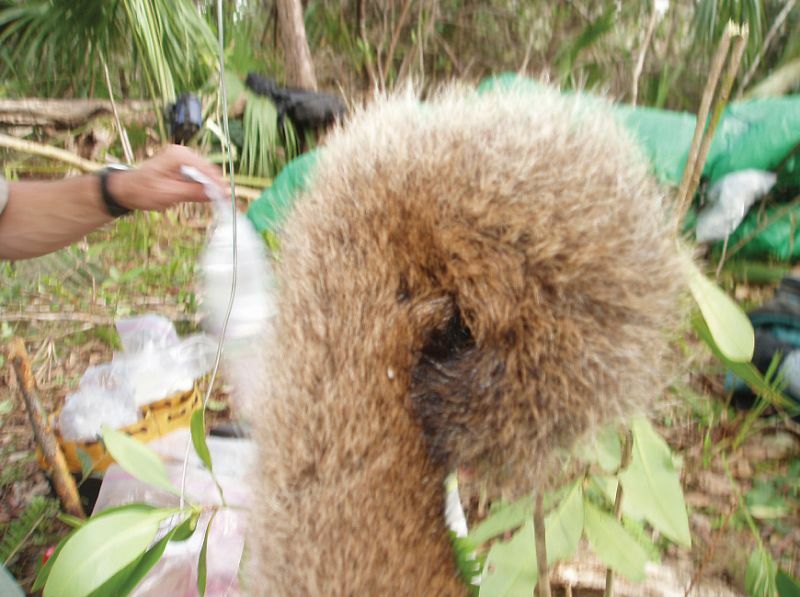 Human live all over the world, so we collect lice everywhere to reconstruct the routes that humans used to move around the globe. Use the map below to see if lice are collected where you come from. Lice have been part of human life and culture for millennia. 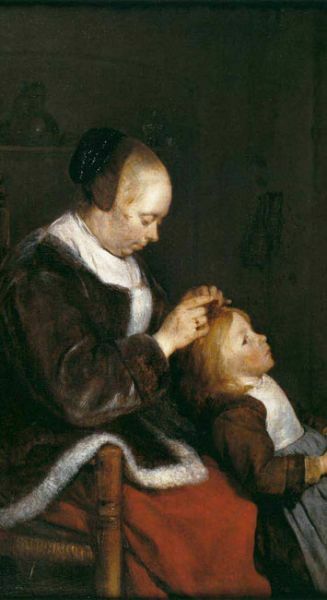 Two portrayals of women combing lice from children’s hair below. 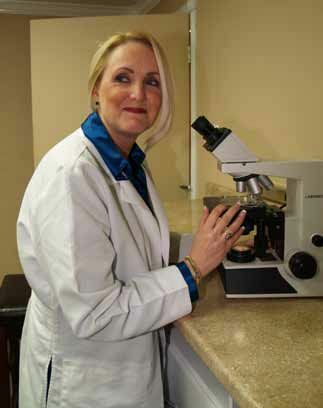 Reed relies on colleagues all over the world to collect lice for this study. Seen here, Katie Shepherd of Lice Solutions (West Palm Beach, Florida) combs lice from children’s hair in Battanbang, Cambodia. This is one way we get lice for our study. Of Lice and Men: As humans fanned out across the globe, from their earliest footsteps they took lice with them. Despised by parents, children and school nurses, these pesky parasites have a lot to say about human evolution. Of Lice and Men: Lice are collected from far-away places, such as Socotra (an island in the Indian Ocean) and the highlands of Papua Guinea, as well as in Europe, Asia, Africa, and throughout the New World. 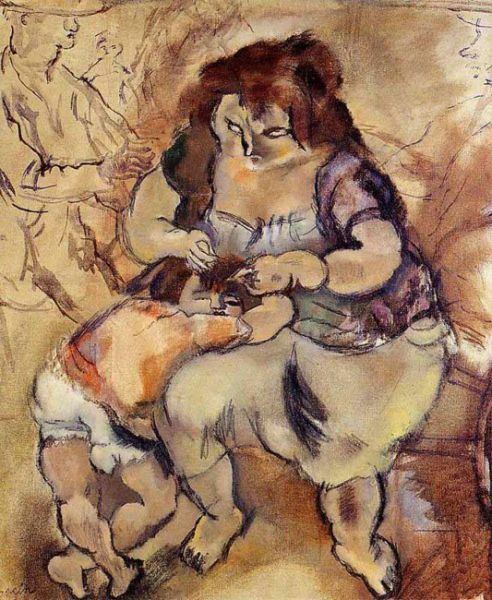 Of Lice and Men: Looking for Lice by Jules Pascin (1924). Of Lice and Men: Hunting Lice by Gerard ter Borch (1652-1653). 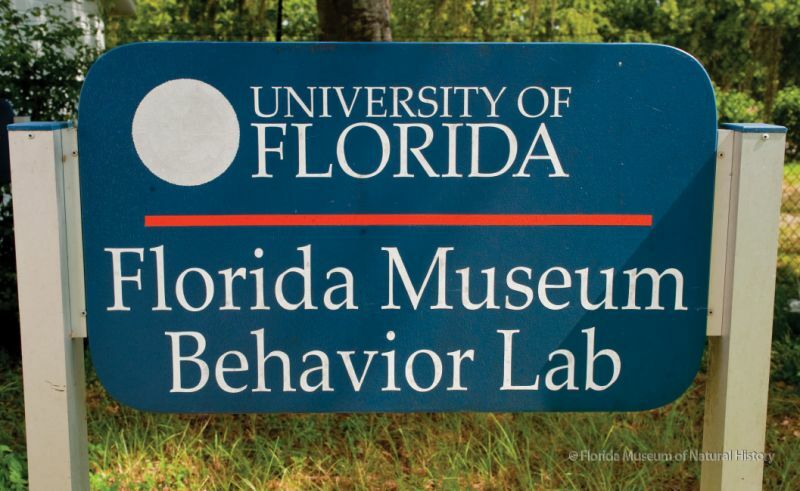 The Florida Museum has produced dozens of videos for their series “Explore Research,” which highlights research done at The University of Florida. The Museum serves as a conduit to disseminate highly technical university-based research to the public in a language they can understand. 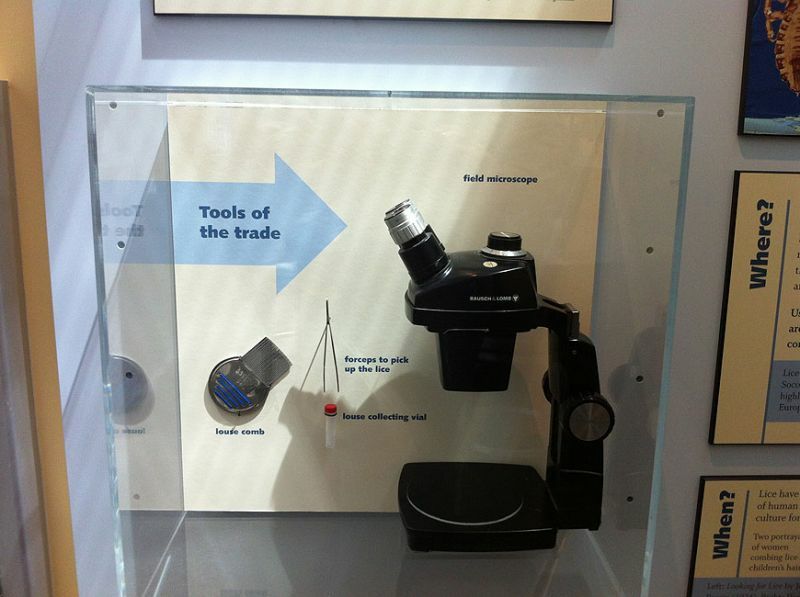 Explore Research is an area of the Museum’s public exhibits that has been built just for this purpose. Each video, along with a 3-dimensional exhibit, runs for several months and can be seen by Museum visitors for free. The video below is a video that we produced with the Museum about our research in the Caribbean. It features Ph.D. candidate Angelo Soto-Centeno. 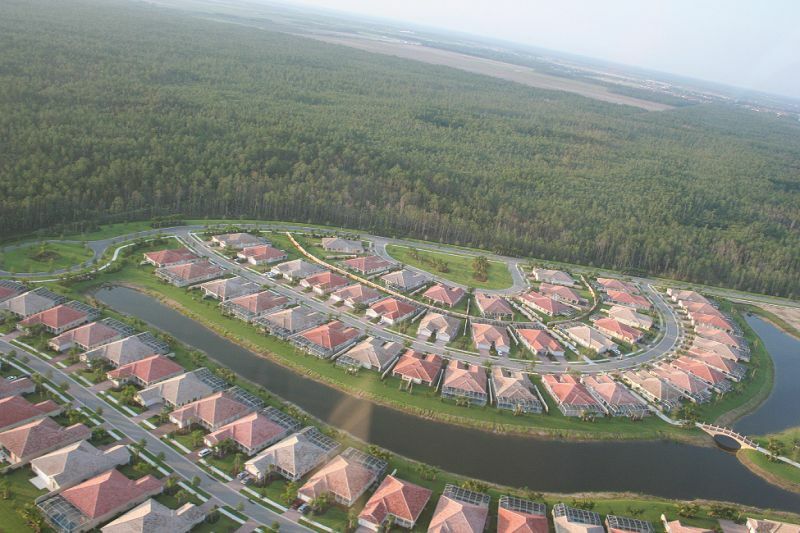 Florida Panthers are listed as endangered and are under constant threat in Florida. 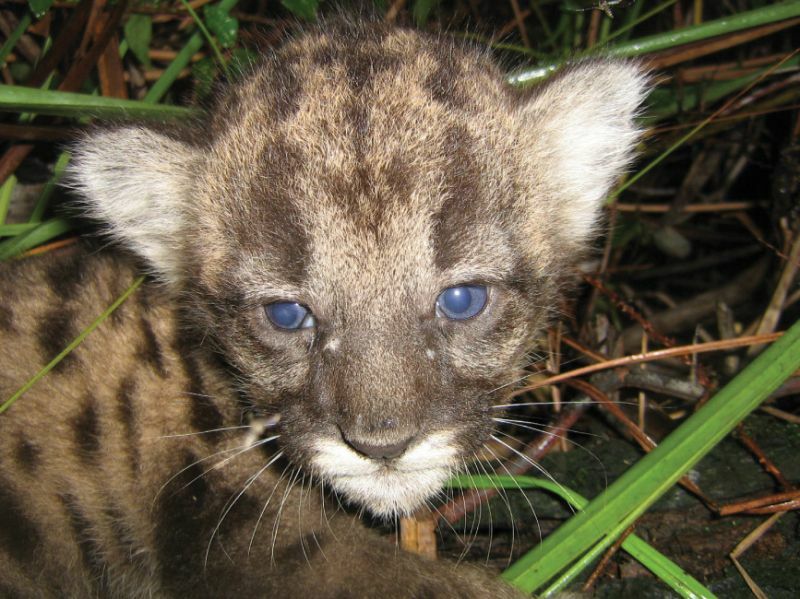 Their range is limited to south Florida and thanks to a very successful program to breed them with female cats brought in from Texas, the panthers are still hanging on. 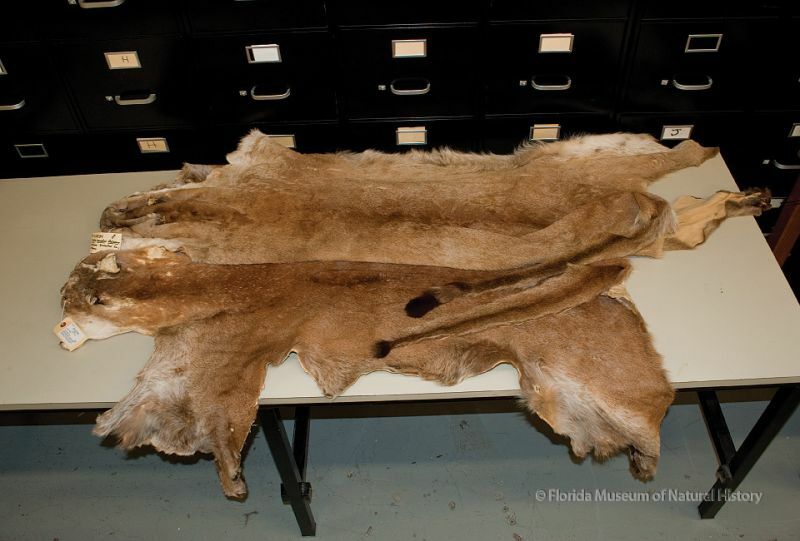 When a Florida Panther is found dead, it is brought to the Florida Museum where we maintain their remains for future study. 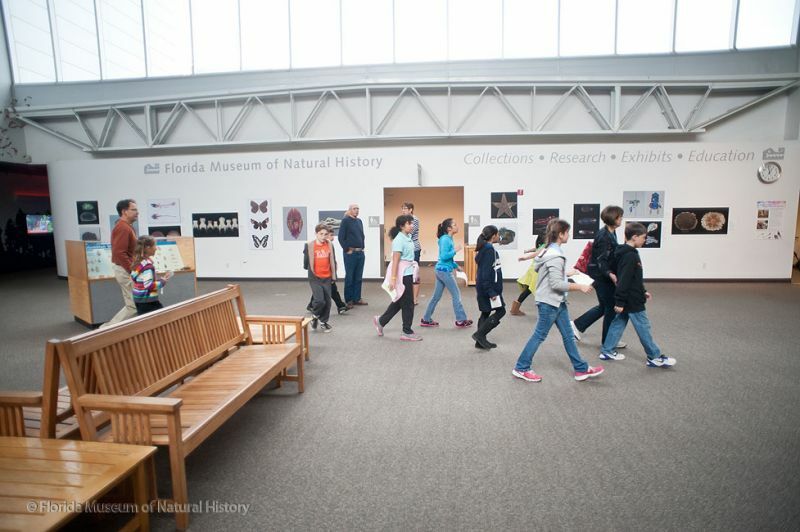 An exhibit was shown at the Florida Museum to demonstrate the challenges with Florida Panthers and what the Museum and other state and federal agencies are doing to protect them. The images below are from that exhibit. 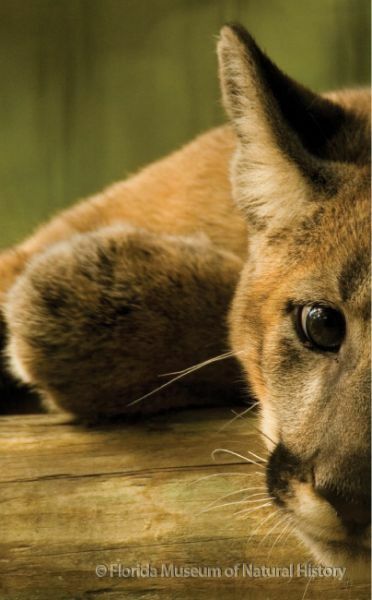 The Florida panther, a subspecies of mountain lion found only in South Florida, is threatened by habitat loss and loss of genetic diversity. 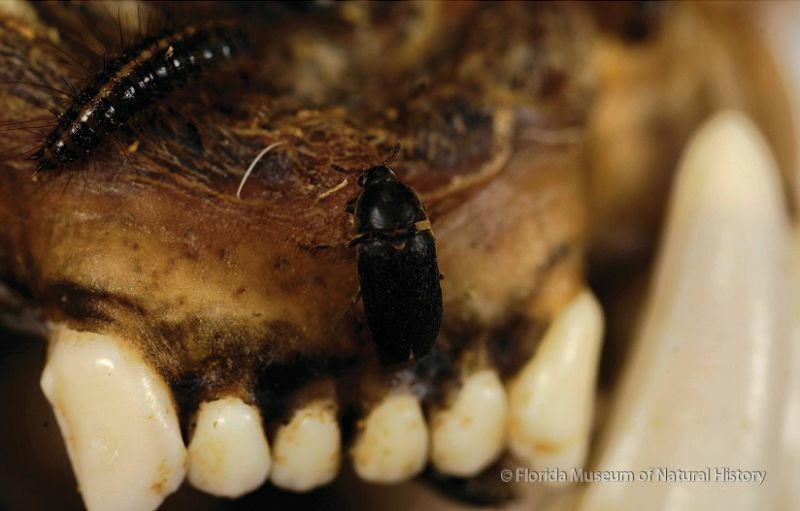 When a panther dies, the Museum uses beetles and their larvae to clean the bones for storage and study. 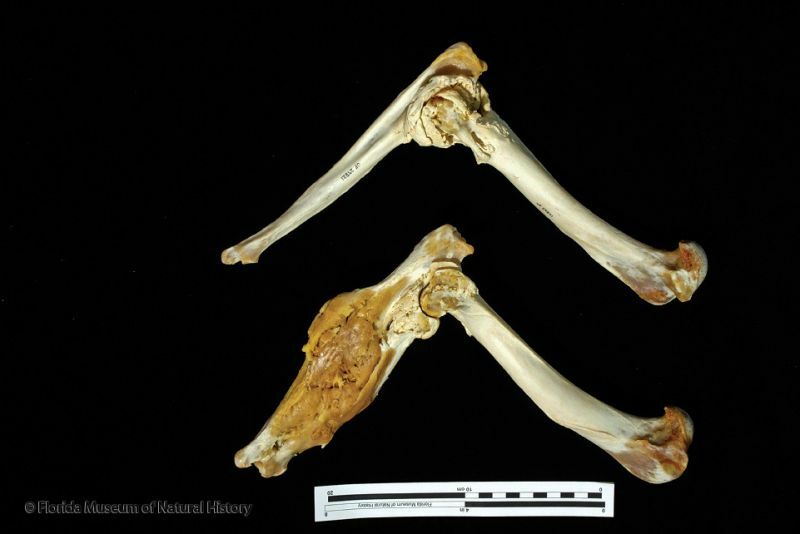 By looking at its bones, biologists can learn about the individual – health, previous injuries and cause of death – as well as the population. 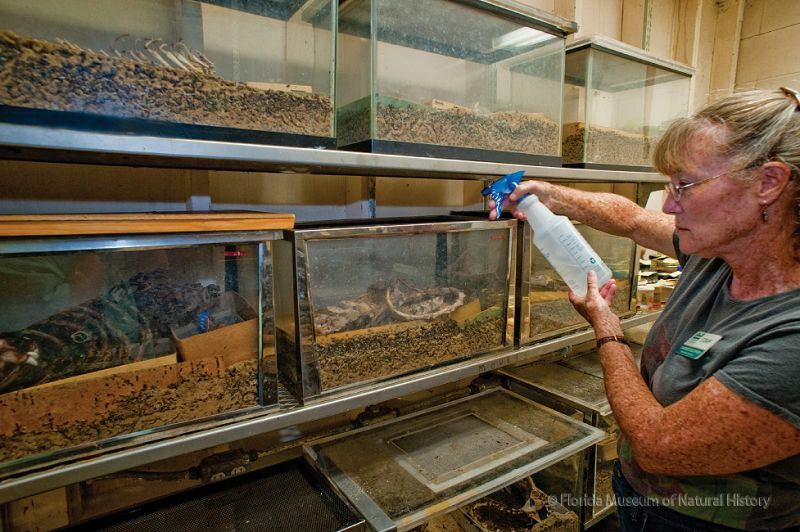 Museum biologists prepare specimens for storage and study. Beetles clean the panther skeleton. The Museum prepares mammal specimens in a separate building to protect the rest of our collections from the beetle colonies. 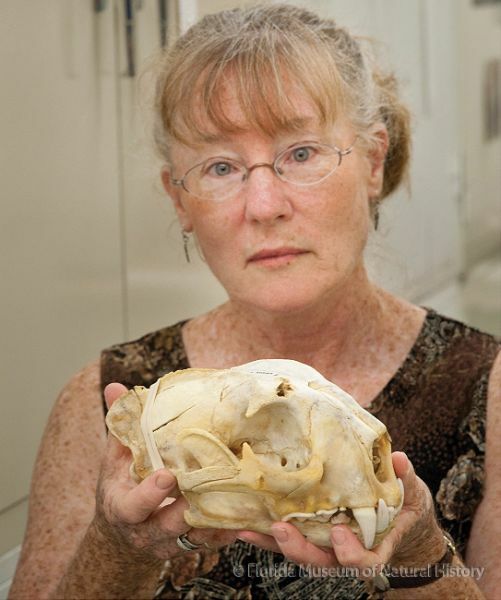 Museum biologists first examine the panther and remove its pelt. 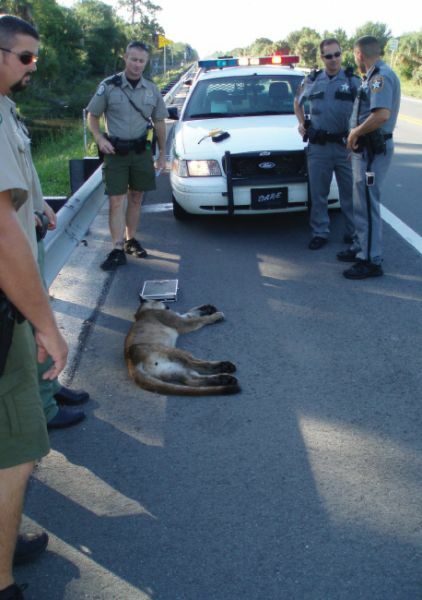 The above photo shows two pelts, a Western cougar on top of a Florida panther. 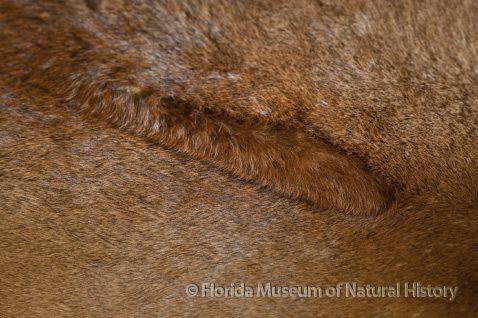 The Florida panther has thinner fur and tail as well as a cowlick (left). 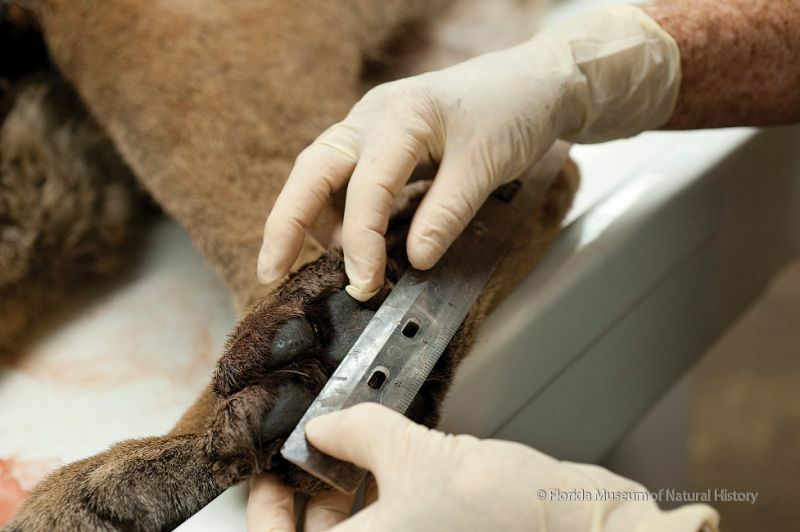 This photo shows healthy leg bones above bones damaged by juvenile arthritis, one sign of poor genetic health among Florida panthers. 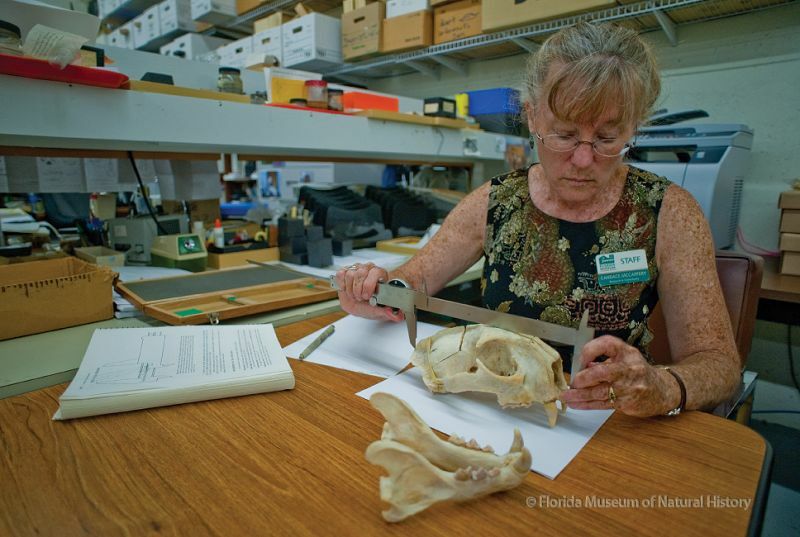 Because of the Florida panther’s unique skull shape, Collection Manager Candace McCaffery records measurements for each specimen.